Heroes, Heroines, and History: SECESSION - TEXAS DIVIDED and GIVEAWAY! 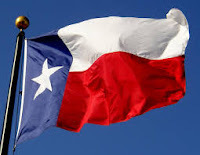 SECESSION - TEXAS DIVIDED and GIVEAWAY! In doing research for my Civil War novel set in Texas, I was reminded that Texas was a state divided as far as the issue of secession was concerned. But a large part of Texas was a cotton-growing and slavery state, so like her sister states of the same ilk, Texas seceded. 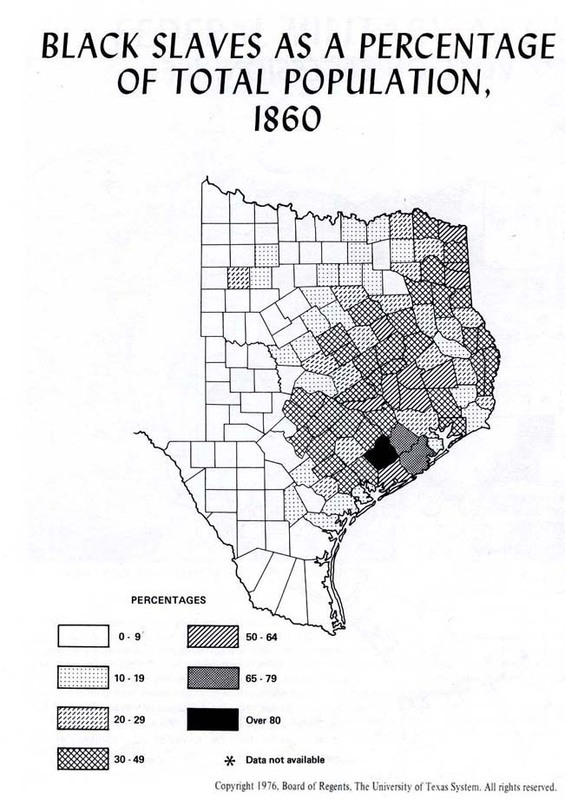 However, because of divided opinions on the subject, Texas didn't make the move until early 1861. She was the last state to secede before the firing upon Fort Sumter. 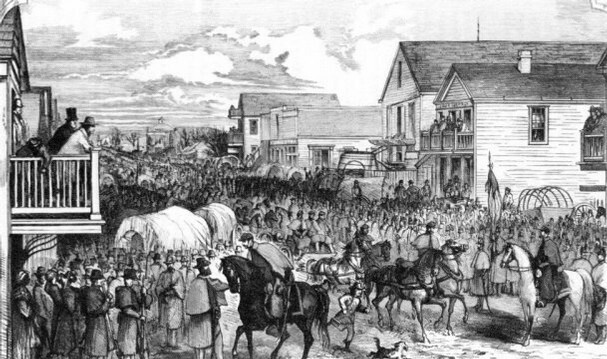 The election of Abraham Lincoln and the fear that his Republican party would abolish slavery, thus threatening traditional rights and the economy of Texas ran through the whole secession issue. Many Texans in the 1850s believed that slavery was essential to the Texas economy and its future growth. 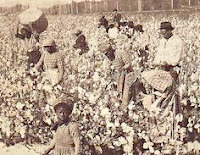 Slavery had expanded rapidly since the annexation of Texas to the United States in 1845, especially in East Texas and along the Gulf Coast, where cotton plantations had sprung up. That was due largely to the fact that many plantation owners from the deep South had moved to Texas and settled in those areas. Cotton grown could easily reach market along the rivers and waterways pouring into the Gulf of Mexico. 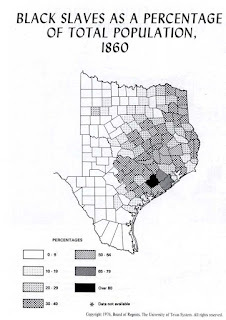 Slaves constituted approximately 30 per cent of the population of Texas by 1860. States. In fact, he was run out of town, here in Waco, after making a speech on the courthouse steps to that effect. It eventually cost him his governorship. 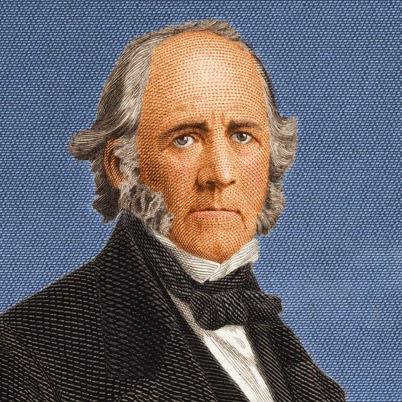 Secession could not be stopped, however, no matter how hard Sam Houston tried. The public pressure simply became too great to halt the secessionist movement in Texas and became an exceptionally volatile issue. Pressure to call a convention to vote to secede began in October of 1960 when it appeared Lincoln was going to be elected President. But Governor Houston refused to convene hoping the highly charged emotions would cool down with time. But the flames simply grew, and in December of 1860 the chief justice of the Texas Supreme Court took the law in his own hands and called for a convention in January to vote to secede. With a touch of irony, the state voted to secede on March 2, Texas Independence Day. All state officials were required to take an oath of loyalty to the Confederacy, which Sam Houston refused to do. Thus ended the long and illustrious political career of Sam Houston. And Texas entered into a losing bloody conflict which would devastate the country. Texas was "fortunate" in that very little actual fighting took place on Texas soil. Although Texas soldiers gained a reputation for their fierce fighting abilities, particularly a group which became known as Terry's Texas Rangers (not affiliated with the law enforcement group). And one of the only towns occupied by Union troops was a small town on the Gulf Coast, Indianola, which was destroyed in a hurricane in the 1880s. It is the setting for my Civil War book, His Steadfast Love. Have you ever visited any of the Civil War sites in Texas--Camp Ford in Tyler, Palmito Ranch, where the last battle of the war was fought, or perhaps Jefferson, Texas? Tell us about them or a visit to any Civil War site, for a chance to win a copy of my Civil War novel set in Texas, His Steadfast Love. A multi-published fiction author, Golden Keyes Parsons and her husband, Blaine, live in Waco, TX. Her series, Darkness to Light, (Thomas Nelson) was a finalist for ACFW’s Debut Author of the Year in 2008. 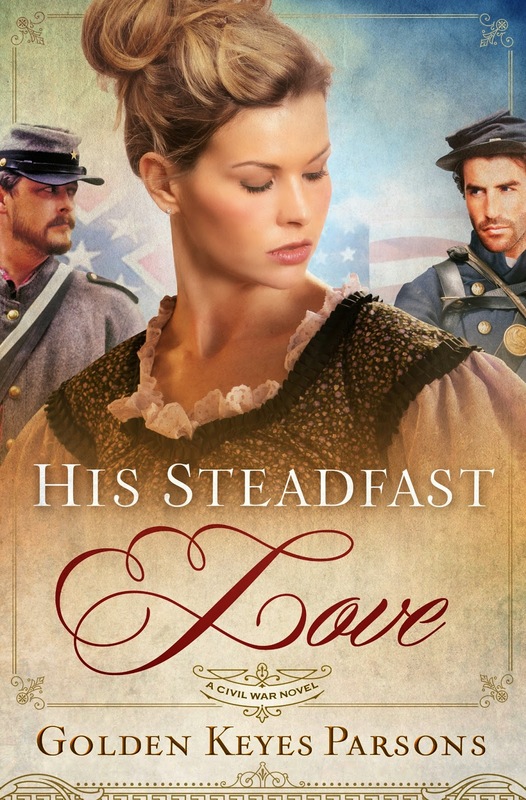 Her fourth novel, His Steadfast Love, a Civil War novel, was a National Readers Choice finalist. Parsons has also written a biblical fiction series entitled Hidden Faces, Portraits of Nameless Women in the Gospels (WhiteFire Publishing). www.goldenkeyesparsons.com. I've not been fortunate enough to have visited Texas nor have I visited any Civil War sites. Being that I have a history-loving husband who is set to retire soon, I have hopes to rectify both of those situations. Thanks for the giveaway. I do love reading novels set in that time period. Though I was stationed in Texas in the 80s, I never to to see any Civil War sites there or anywhere else. I really love reading books from that time period with all the historical information in these types of books. Hope I win His Steadfast Love. Thanks for the giveaway and the history lesson. Good luck everyone. I have been to Texas many times, but never visited those sites. I should! What an informative post. I have never been to Texas but I did spend a weekend in Gettysburg, Pennsylvania that I will never forget. Standing among the monuments on an early summer morning before the crowd arrived we got chills because of how quiet and peaceful our surroundings were. We could hear birds singing and the hush of time's passing seemed to lend itself to a new and peaceful sacred place where past violence became just a faded memory. Most people want to see a reenactment of the battle but I was deeply touched by the silence and reverence toward the souls who gave their last true measure of devotion to our great country. It was both humbling and breathtaking. I devour everything I can about the Civil War and really enjoyed your Texas history lesson. Thank you so much! We have had to travel to Tyler many times lately for doctors visits and go right by Camp Ford. It is a beautiful area and what great history! Thank you so much for your comments. I've been out all day ... just now getting to my computer today. We went to a couple of re-enactments during the time I was writing the book as well. They are pretty interesting with all of the town's citizens dressed in period costumes. Some of the actors are actual descendants. History is fascinating! I have been to Texas only once, and we did not have the,opportunity to visit any civil war sites. I have, however, had the chance to visit Gettysburg - something that shall remain in my memory forever! Thanks for the giveaway. I live in Texas and haven't had the opportunity to visit any Civil War Sites. I live in Texas, and have a Confederate Army fort (Fort Phantom Hill) right outside of our city. It's mainly ruins now after the fort was abandoned and a fire destroyed the log walls and thatched roofs of the buildings, but the stone buildings, foundations and chimneys are still standing. I'd love to visit some of the the other sites because seeing living history is so fascinating! I have visited both Abraham Lincoln's birthplace and the Jefferson Davis Memorial here in Kentucky. The Battle of Perryville is a well known battle of the Civil War but I haven't been there yet.